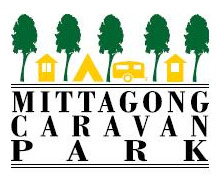 Mittagong Caravan Park situated in the beautiful Southern Highlands. The park is surrounded by natural bush land and unique wildlife. Within a 5 minute walk you can enjoy a swim at the local Mittagong Swimming Pool, play a game of Tennis or maybe you would prefer a game of Golf at the very popular Highlands Golf Course.